Using a tour operator in Greece has big benefits: from accessing otherwise off-limits locations to having someone do all the dirty work so you can just have fun. It can save a lot of time and energy and guarantee a great vacation experience. 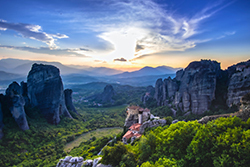 Incredibly well connected and experienced, tour operators in Greece have excellent guides, the best insider and local access and lots of clout with the finest accommodations. Controlling every aspect of their fine-tuned operations, many of them have their own full-time guides and their very own local offices across Greece - Athens, Thessaloniki, Halkidiki, the Greek islands, Crete, Rhodes, Kos, Corfu, Mykonos, Santorini, Cyclades, Ionian Islands, Kefalonia, Zakynthos, North Aegean Islands, Dodecannese Islands and the Peoponnese. They do all the legwork, and consistently deliver the best accommodations, food and service, due to superb planning, experience and connections. They can arrange helicopters, supply drivers and combine active travel with local, regional and indigenous experiences. Clients can relax while on vacation knowing that informed, friendly specialists are available 24/7 to provide expert knowledge on their destination. 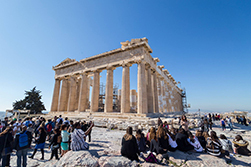 The Tour Operator companies in Greece - Athens, Thessaloniki, Halkidiki, the Greek islands, Crete, Rhodes, Kos, Corfu, Mykonos, Santorini, Cyclades, Ionian Islands, Kefalonia, Zakynthos, North Aegean Islands, Dodecannese Islands and the Peoponnese - employ highly experienced, multi-lingual staff trained to have a strong eye for detail, excellent communication skills, ability to work with strict deadlines and good knowledge of the tourism industry in general. The advent of internet has led to an increase in the number of travellers who opt for self-packaging. 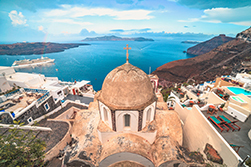 Nevertheless, Tour Operators in Greece still have the advantage of the personal touch in providing the best possible arrangements and save you valuable vacation time. They enter into powerful contracts with the suppliers, such as airlines, hotels, other land arrangements, cruises etc. and can deal with other entities, such as local government authorities. 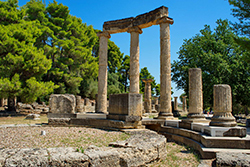 Greek tour operators specialize in large group events and meetings, social parties, seminars and conferences. They can also organize trips for people who share hobbies or interests and would like to engage in such activities during their vacation.